What's your background? How'd you get into crypto? In 2015, I built LeadArtists, a creative digital agency. I got involved in crypto when a close friend recommended to invest in Ethereum when it was around $60.00 USD. What do you do in your day-to-day as a community manager? What are your responsibilities? As the Director of Community, I have to juggle a lot of tasks. We would not be able to do what we do without the support of our admins, ambassadors, and community members. I actively monitor all of our outlets and generally stay in close contact with our admins, ambassadors, and partners and investors, too. Leemon's breakthrough is interesting which made it easy - we had a very large organic community. We primarily grew through strong Youtube content. We then built the Ambassador program, which scaled to over 200 ambassadors hosting Meetups globally. It has really happened due to our supporters. None of this would be possible without those who believe in the technology and movement. How would you define a successful Telegram/crypto community? What metrics can/would you track to define success? The biggest problem with Telegram is certainly scams, bots, impersonation, etc. It is really unfortunate that Telegram does not see this as an issue, especially given they are running an ICO and so heavily involved in the industry. We've spent a lot of time debating on Telegram, and even more time trying to protect our community as much as possible. We desire high quality content and discussion, and not numbers, which is why we prefer to grow organically versus running ads or doing outbound marketing. Leads to a much stronger community! Do you have a strategy for promoting quality content and discussion? The main strategy is actively deleting useless / repeat content. We, of course, answer all questions but by keeping it high level we can guarantee that scrolling up and jumping in is worthwhile. What would you do differently? What do you wish you knew early on? 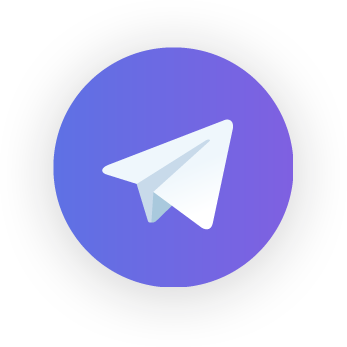 Growing any grassroots community is always a bit of "throwing paint at the wall and seeing what sticks".. we knew telegram was the place to be, so we originally pushed everyone there.. but as we grew, we saw different platforms for different regions. Facebook, for example, is very big in Indian communities. We are looking to grow to WeChat for Asia. We use Discord for all of our Devs. To continue teach about distributed ledger technology and get the mainstream on a public ledger. Our mission is to change the internet - and hope that anyone believes in that gets involved. Contact form on website, info@hederahahgraph.com, via Telegram, Linkedin, or kyle@hashgraph.com. Don’t let your crypto community turn into a ghost town.